This book examines the way in which the central English government dealt with Irish ecclesiastical matters from the time of the invasion and partial conquest of Ireland by Henry II in 1171 up to the Statute of Kilkenny. The struggle involved the king, the clergy in Ireland, both Irish and English, and the pope. Using manuscript material and printed sources, which have not been previously used for this purpose, Dr Watt shows how an attempt was made to 'colonize' Ireland by ecclesiastical means, and traces the changing fates and fortunes of the 'two nations' in their relations with one another. 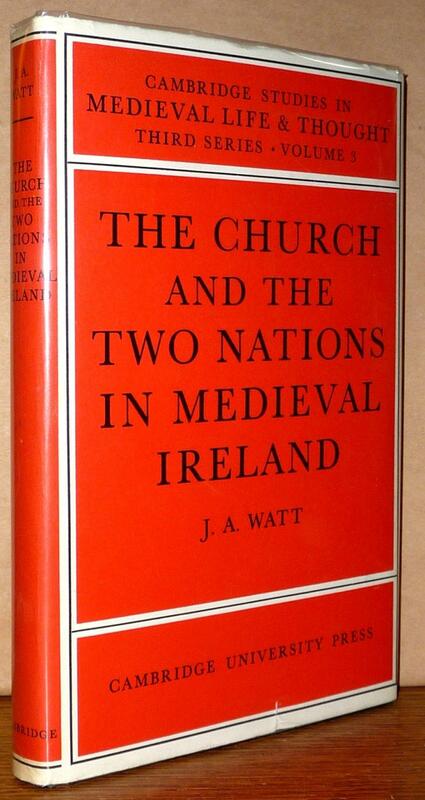 Dr Watt also deals very fully with the rôle played in the struggle by the religious orders, particularly the Cistercians and the friars, and with the effect which the English common law had on the Irish clergy. This book examines the way in which the central English government dealt with Irish ecclesiastical matters from the time of the invasion and partial conquest of Ireland by Henry II in 1171 up to the Statute of Kilkenny. 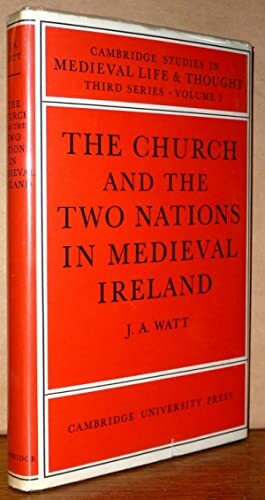 Using manuscript material and printed sources, which have not been previously used for this purpose, Dr Watt shows how an attempt was made to 'colonize' Ireland by ecclesiastical means, and traces the changing fates and fortunes of the 'two nations' in their relations with one another.